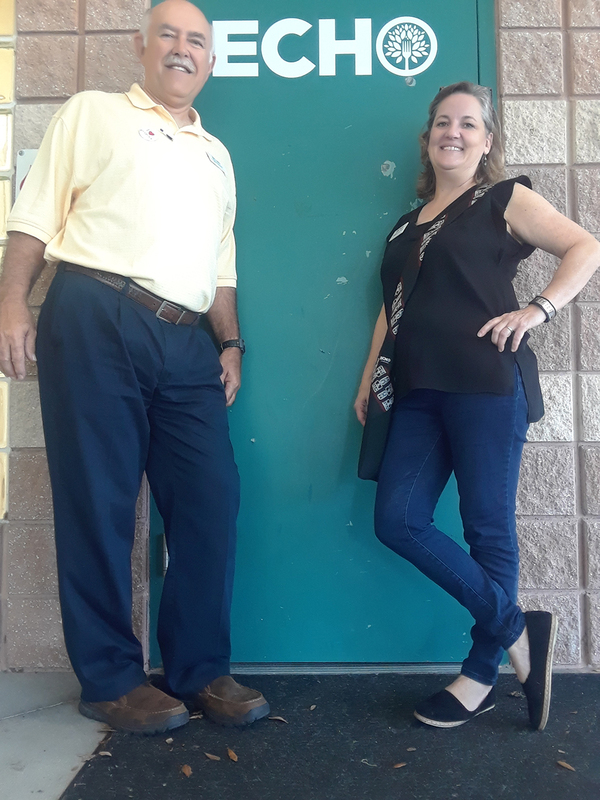 Eleanor Saunders, ECHO’s executive director with Steve Mc-Kinnon, director of the new South County Center in Riverview. “We have already had people come in and drop off donations from as far as Sun City and they said they are so happy not to have to drive to Brandon,” said McKinnon, director of the new South County Center in Riverview. 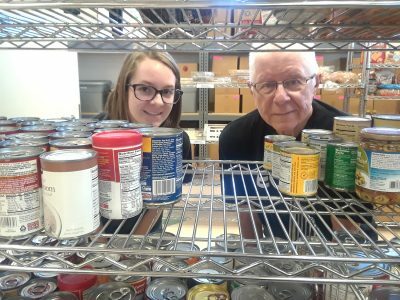 One of the county’s largest charitable groups is now serving residents of Riverview and surrounding communities. Emergency Care and Help Organization (ECHO) welcomed its first clients last week at the new facility in Riverview Neighborhood Park, 7807 Capitano St., just off U.S. 301. 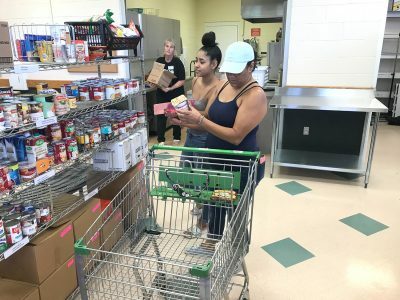 The pilot program offers emergency food, clothing and connections to local resources. The group is headquartered in Brandon. “Of all the people we help, 25 percent drive in from the South County area — Riverview, Gibsonton and Progress Village,” said Eleanor Saunders, ECHO’s executive director. That’s 662 households from South County driving to Brandon for help according to ECHO’s 2017-18 annual report. With an annual budget of $1.5 million — $1 million of that in-kind donations — 93 percent of ECHO’s budget goes to programs with 7 percent to administrative costs and fundraising. 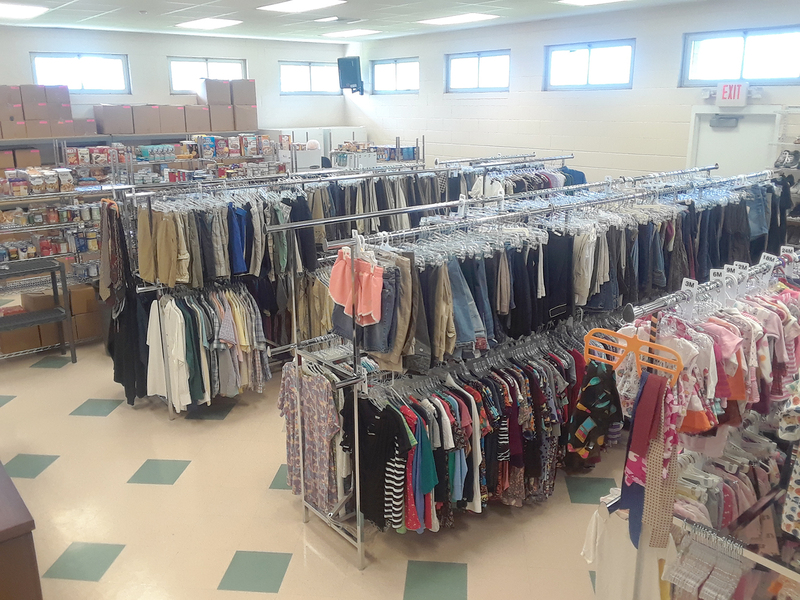 The group counts Bank of America, Wells Fargo Bank and Publix among its corporate supporters and depends on grants, individual donations, Saturday morning thrift sales and other fundraisers. Founded in 1987, ECHO has helped more than 250,000 people and grown into one of the largest and most respected charitable groups in the Tampa Bay area. 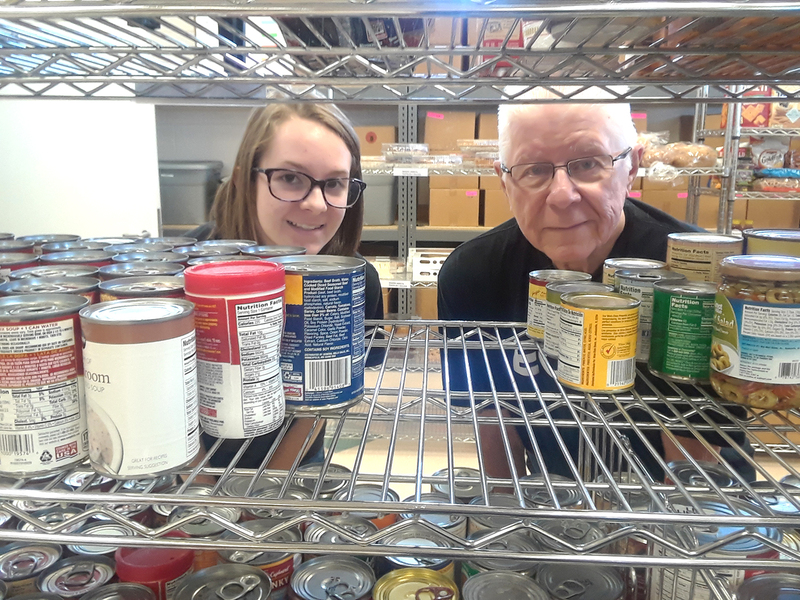 Emergency Care and Help Organization addresses immediate needs with a fully stocked pantry where each person receives at least 20 pounds of food and a clothing area where each family member is encouraged to take up to 12 outfits each. Grace Krantz and Wayne Tilton are among the first volunteers at the new South County ECHO offices. Aiming to break the cycle of poverty, ECHO also encourages clients to use the group’s job skills training program, GED instruction and financial literacy resources. “ECHO Handmade” also offers clients who might have a hard time finding a job a springboard to employment, taking excess clothing donations destined for the salvage truck and transforming them into high-quality accessories. Emergency Care and Help Organization welcomes in-kind and monetary donations as well as food, clothing and toiletries. The Riverview office, 7807 Capitano St., is open from 9 a.m. to 1 p.m. Tuesday through Friday. Call 813-540-9880. The Brandon office, 507 N. Parsons Ave., is open from 8.30 a.m. to 12.30 p.m. Monday through Friday. They are open an additional two hours on Tuesday, 5 to 7 p.m. with a thrift sale every Saturday from 8 a.m. to noon. Email site director Steve McKinnon at steve@echofl.org or call 813-685-0935. Visit www.echofl.org for more information, success stories and to review the group’s latest annual report. ECHO Riverview welcomed its first clients Thursday, Sept. 20, the first day of a soft opening. A grand opening is planned at 4.30 p.m. Thursday, Oct. 18. “I was as excited as they were to have them as our first clients,” McKinnon said. Clients will find a large pantry and clothing at the Riverview facility.